You’ve probably heard of The Imitation Game (2014) — the biopic of World War II codebreaker Alan Turing, who was prosecuted after the war for being homosexual, and then committed suicide. 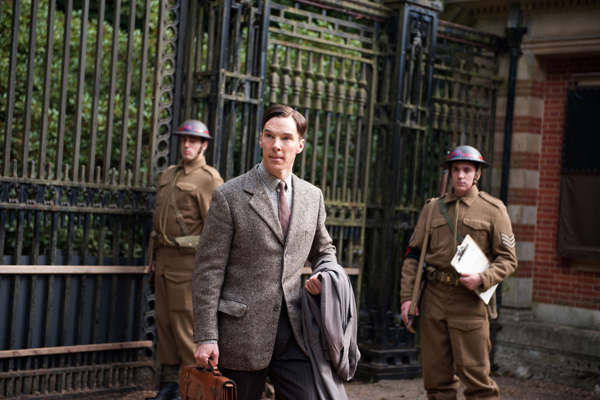 Current heartthrob Benedict Cumberbatch played Turing in this flick, which won an Oscar for Best Adapted Screenplay. But did you know there was already a biographical movie about Turing, and it was based on the same source material as the 2014 film? The screenplay for The Initiation Game was based on the book Alan Turing: The Enigma by Andrew Hodges. This book had previously been adapted into a play (1986-1988) and a BBC movie (1996) titled Breaking the Code, both starring Derek Jacobi as Alan Turing. Let’s compare the two! The Imitation Game is a cliche Hollywood-style biopic about an eccentric inventor struggling against all odds to fight the good fight. The story often turns sentimental or grandiose, milking every relationship for extreme drama, whether conflict or romance. The plot is wholly predicable, and it’s only livened up by occasional bad jokes at the expense of the characters. Worse still, the movie is a false history of Alan Turing, making him into a wacky queer science superhero instead of someone more subtle, intelligent, and sublime. According to multiple news articles and Wikipedia (and what I’ve read of Hodges book, plus the interviews I’ve heard from Hodges), the only elements in the movie that are accurate to Alan Turing’s life are that he worked on breaking the Germans’ Enigma code during World War II, and after the war he was arrested for homosexual acts, which were illegal at this time. Oh, and he did have a childhood “first crush” named Christopher (but no, he did not name the code-breaking machine after him), and he did propose to Joan Clarke during the war, she knew he was gay and didn’t care, but he broke it off (amicably) before the war ended. 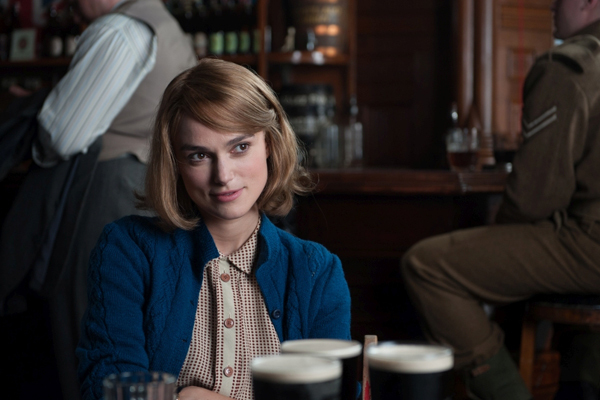 Keira Knightley as the love interest! Pretty much everything else in the movie is a fabrication. Various historical figures are misrepresented or mish-mashed together or left out entirely, the whole Soviet spy subplot is wedged in without merit, a mawkish “playing God” narrative is added (the kid with a brother on ship that’s going to get destroyed by U-boats? Total BS), and Turing and his unrealistically tiny team of four are given credit for the work of hundreds. Yes, Alan Turing did amazing work that was practically ignored in his lifetime, and he died tragically. But wow, talk about exaggerating to make a point. Also, there’s plenty of debate about how socially awkward and practically autistic Turing was in reality — Cumberbatch’s performance makes him seem like a self-isolating freaky genius when actual contemporaries report that Turing was simply a little eccentric but rather nice to work with. Oh Hollywood. Must you? This is much like Amadeus (1984), where Mozart is made into a giggling rouge caught in a mortal artistic duel with Salieri (that story, of course, began in Peter Shaffer’s play Amadeus). The trope of the ‘crazy genius’ is nothing new, but is this the only way audiences can understand an atypical protagonist? Really? The Imitation Game feels like a missed opportunity to me. Alan Turing was a brilliant person who made amazing contributions to the world, plus his life was cut short quite probably because of the prosecution due to his being gay, and he deserves recognition. His story should be told. I suppose some will say it’s not a bad thing for him to get a big-budget movie starring a very popular actor. The film was nominated for a ton of awards and won an Oscar (screenwriter Graham Moore gave a particularly moving speech), plus it won a GLAAD Media Award for outstanding representation of the lesbian, gay, bisexual, and transgender community. Still, watching it, I felt emotionally manipulated, and I could just smell that the history was off even before firing up the Internet. It’s not good history, and the more I read about Turing, I feel like the truth would have been far more fascinating on screen. Oh, the costumes, right … It’s the 1940s, if you can’t get that right, you don’t deserve a job in film or TV. They’re fine for wartime Britain. Add that into the minuscule column of things The Imitation Game did correctly from a historical point of view. After watching The Imitation Game, I found out about Breaking the Code (1996) and had to track it down. It’s shorter, only an hour and a half vs. the nearly two hour running time of the later film, so the story is a little condensed. Also, this TV movie is very obviously a straight-up adaption of the play Breaking the Code. This has pros and cons. The biggest con is that there’s very little action — the film is almost entirely talking, all the scenes are two actors (usually Jacobi and someone else) in a room, sorting through stuff verbally. This makes for a very think-y piece, and that’s not going to be everyone’s cup of tea. However, the dialog is amazing and covers a lot of ground. The movie jumps back and forth in time from the 1950s, when Turing is prosecuted for homosexual acts, to World War II, and to his childhood. The Imitation Game does this too, but Breaking the Code does it much more, yet also more fluidly and elegantly. Also, for not having much action, this film is far more explicit and historically accurate about Turing’s gay life. In the 1950s episodes, we’re actually shown Turning hooking up, and his gay romantic relationships are referred to in the wartime scenes. For that matter, Breaking the Code is more detailed about Turing’s scientific work. Being talky means the characters actually talk out theories of cryptanalysis in the war scenes to explain how Turing and his coworkers will break the Enigma code. Admittedly, some of it went over my head, but it sure gave the impression of, whoa, this guy is a freakin’ genius. 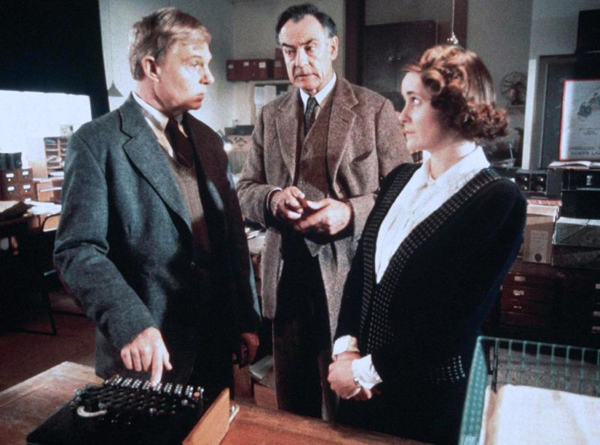 Derek Jacobi is an excellent actor, as always, though he gives Turing a stutter in this film, and I don’t know where that comes from. Again, this seems to be a filmic way to make Turing seem odd, like he doesn’t fit in. Which is true, Turing didn’t — biographer Hodges really makes the point, in his book and in talks, that Turing was ahead of his time in many ways. But exaggerating Turing’s personality traits for the filmed version is such a cliche, and I’m sorry to see that this early adaption seems to have perpetuated it. Still, the stutter is the only real quirk Breaking the Code gives Turing; otherwise, Jacobi portrays him as a rich, well-rounded, complicated person with a sense of humor and pathos. As for the costumes, well, again, it’s mostly 1950s with a touch of 1940s, so nothing spectacular, and all done just fine. Since this film has so little action and just a few characters, there isn’t much in the way of costumes to note. 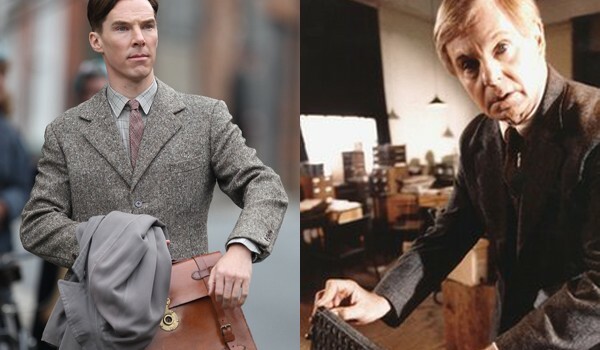 So I don’t think the ultimate, historically accurate Alan Turing movie has been made. 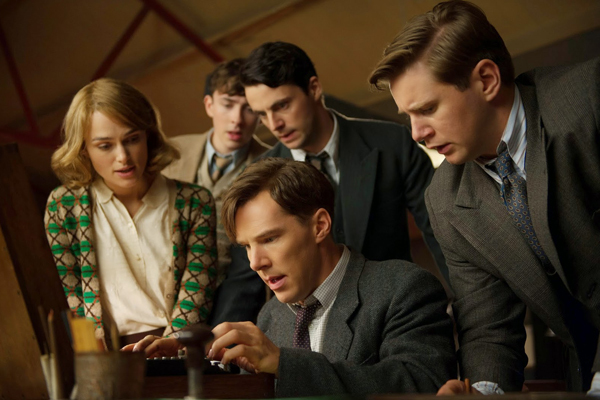 The Imitation Game is all fake bluster and cliches, while Breaking the Code is a merely a talky play on TV. The former makes Turing into a wacky superhero, while the later gets the history right but isn’t super compelling to watch. While it’s great that this founding father of computer science and gay history icon has made it to film at all, I kind of wish he’d get a better movie treatment than he got in life. Tags1940s1950sactual researchBenedict CumberbatchDerek JacobiFrances Tempesthomoeroticisminspired by a true storyLGBTQplaying fast & loose with historyqueerSammy Sheldonside-by-side comparisonWorld War IIyou call this a biopic? Nice summary. Jacobi used a stammer in “I, Claudius,” which may be why he used it in this instance. Ah, that’s right! Totally forgot — it’s been a long time since I’ve seen “I, Claudius.” Still couldn’t find a historical explanation for adding the stutter to Turning, but yeah, a Jacobi-ism. The historical Claudius actually had a stammer, along with numerous physical issues. Not sure why Jacobi brought that into his portrayal of Turing, though. Thank you for this! I adored Breaking the Code when it aired on PBS back in the day and wondered how The Imitation Game—which I haven’t seen—would measure up. I’ll take Jacobi over Cumberbatch any day. Frankly, “The Imitation Game” pissed me off & made me feel manipulated, so I was thrilled to find “Breaking the Code”! Although it doesn’t feature Turing directly–he is mostly off-stage–the film Enigma, with Dougray Scott and Kate Winslet,goes quite a way to show how Enigma was broken and the inner workings of Bletchley Park. A bit dramatic in parts, but certainly authentic in most. Winslet should win a prize for pure wartime dowdiness. I’ve seen both treatments — the one with Derek Jacobi was presented under the Masterpiece Theatre aegis on PBS. And I’ve seen an actual Enigma machine (it helps to live near Washington DC where there’s a cryptological museum — right next to NSA HQ!). I can’t say which version of Turing’s story I liked better since they were so different. Jacobi’s version was much more intellectual and inward compared to Imitation Game. 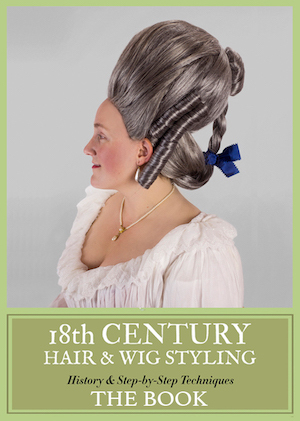 But I enjoyed the period clothing of the latter — and had to laugh at the period haircuts! Anyone who’s also seen “The Bletchly Circle” (right after WWII) can groan at the “fashions,” which were similar. 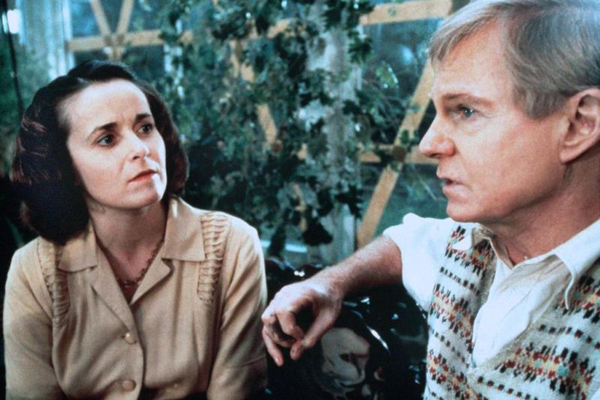 Derek Jacobi was too old to be portraying Alan Turing . . . even in 1996. Benedict Cumberbatch, was almost too old. As for the productions being historically accurate, I see no reason to make a big deal of the matter. I once read a book on how to write a novel. In regard to historical fiction, it had one rule – if historical facts get in the way of the story you want to tell, change it. I’m serious. I saw Breaking The Code first and enjoyed it (I guess I like talky). I have also seen the BBC series The Bletchley Circle, I also worked for the DoD (american dept of defense) so I was aware of this and found the British shows informative. Imitation Game is what it is, a movie; not a documentary, not history. It is a 2 hour impression of what “happened”. It is well done for its genre.